The Electric Light Orchestra (ELO) was formed in 1970 by Jeff Lynne and Roy Wood as a creative and innovative band that fused elements of rock and classical music into an inventive mix. When Wood left, Jeff Lynne assumed the leadership and for the next 15 years produced some of the best pure pop/rock music of the era. 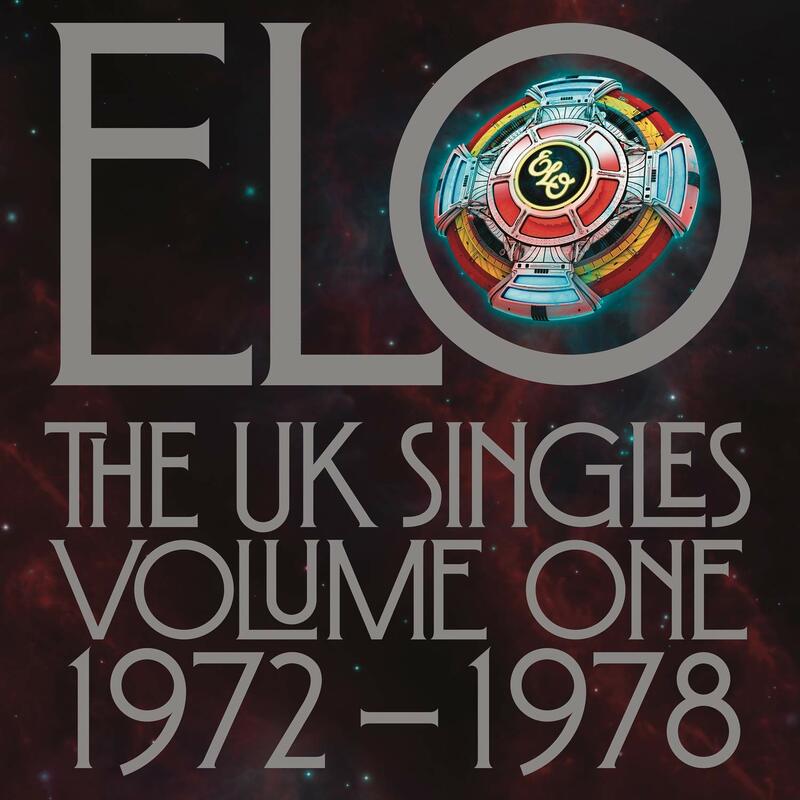 While ELO sold tens-of-millions of albums; The UK Singles Volume One: 1972-1978 is a chronicle of their single releases in their home country, 20 of which reached the charts. Vinyl has been making a comeback and this box set capitalizes on that fact. Their 15 singles are reissued as 45 rpm records with many original picture sleeves. The 16th disc is their four song EP “The ELO EP.” It is a unique release that will appeal to fans of the band and collectors of those old 7 inch 45’s. The A sides are instantly recognizable for fans of 1970’s pop. “Roll Over Beethoven,” “Can’t Get You Out Of My Head,” “Turn To Stone,” “Strange Magic,” and “Livin’ Thing” have stood the test of time and helped propel the band into the Rock And Roll Hall Of Fame. While they have been reissued a number of times; now they are returned to their original format. The B sides of the 45’s are an eclectic mix and delve deeper into the ELO catalogue. Many times 45 “flip sides” were songs deemed not strong enough to be hits or drive album sales. Still, songs such as “Illusions In G Major,” “Poker,” “Queen Of The Hours,” and live tracks “10538 Overture,” “Daybreaker” and “Showdown” give a different picture of the band and show their more experimental, if not commercial, side. The sound is superior is you have a good stereo system. The crackle and pop of those old 45’s is missing. The technology of the present day allows vinyl to provide a sound as good as most CD’s. The UK Singles Volume One: 1972-1978 is in many ways a niche release due to its format. The box set is old school and it takes patience to play 45’s and listen to music in three minute increments. Still, it is a nice ride through the music of the Electric Light Orchestra if you are so inclined. For music aficionado’s in the know, a new album by Dave Keller is a cause for celebration. Every Soul’s A Star is the veterans first release for Catfood Records, which brings a bonus, the labels house band The Rays. While Keller may move in R&B and rock directions at times; he is at heart a blues musician. His lyrics chronicle life but from a mellow perspective. His guitar work is fiery and the Rays fill in the blanks and add layers to his music. Whether smoldering or high energy; songs such as “Don, Let The Take Your Joy,” “You Bring The Sunshine,” “This Is Gonna Hurt,” and “Kiss Me Like You Miss Me” are now part of Keller’s body of work. Keller has learned his craft well. 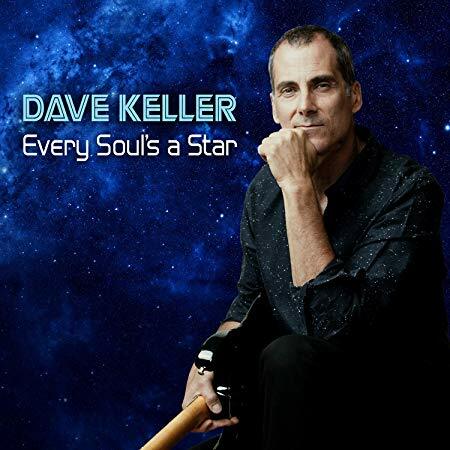 Every Soul’s A Star is another fine release and is well worth a listen. 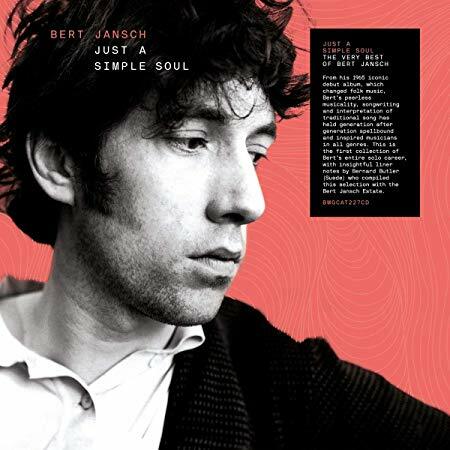 Just A Simple Soul is a long overdue album as it gathers the best material from Bert Jansch’s 40 year solo recording career. As an added listening bonus, the 39 tracks are presented in chronological order, which enables the listener to appreciate the distinct periods of his career and the evolution of his music. Jansch began his recording career in 1965 and over the next four decades released 25 solo albums. In addition, he was a founding member of Pentangle and would record and tour with the group for the rest of his life, 1967-1973, 1981-1995, 2007-2011 (his death). Pentangle emerged as on the most innovative and influential folk bands in music history as it combined traditional folk music with elements of jazz, blues, and rock. Jansch was always able to bridge styles. His lyrics have always been folk oriented but the guitar work borders on the blues, similar to early Bob Dylan. He was one of the best acoustic guitarists of his era and his innovative and creative innovations are unmatched. Any study of Jansch’s music begins with his ode to the passing of a friend, “Needle Of Death.” It is folk music at its distressing and painful best. Add in such songs as “Poison,” “Angie,” and “It Don’t Bother Me” and you have some of the better traditional folk music of the second half of the 1960’s. For a time he was maintaining two careers; as a solo artist and member of a high profile band. “The First Time I Ever Say Your Face,” “Reynardine,” and “Moonshine” represent a more commercial approach apart from Pentangle. From the 1990’s on, his music was reflective and at times simple. “Morning Brings Peace Of Mind,” “When The Circus Comes To Town,” “On The Edge Of A Dream,” and the title track are mesmerizing in their calmness and simplicity. Jansch was a rare musician who was able to produce memorable music both within and outside of a band. When the best music of his solo career is gathered in one place; it forms one of the better listening experiences available. 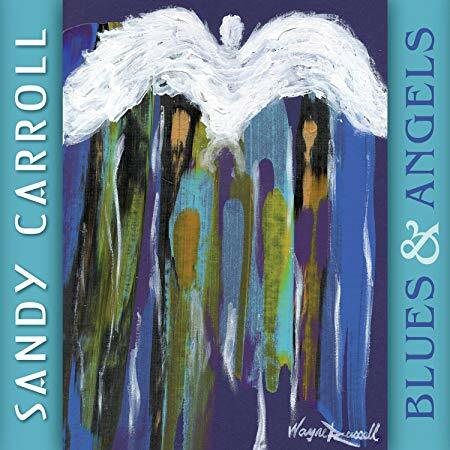 A new album from veteran blues and roots artist, Sandy Carroll, is due October 19th. Her last release, Last Southern Belle, charted high on the Contemporary Country and Indie Charts. Blues & Angels is a return to a more traditional blues style. While Carroll is known as a respected singer and keyboardist; it is her ability as a songwriter that forms the heart of her newest album. She draws on an array of singers and backing musicians to support her latest creations. They give her music more depth and textures than have been present in the past. The songs tell stories from a blues perspective. Tales of joy, sorrow, pain, and just living come together to form a strong release. Sandy Carroll has reached a point in her career where she knows who she is and how to put together an album of new music. Blues & Angels is another step forward in her blues journey through life. True Troubadours are a dying breed in the music world, but whether busking in Europe or traveling the highways of America in their trailer home, Hymn For Her, Lucy Tight and Wayne Waxing with their daughter in tow, have remained true to the travelling poet-musicians of the past. Pop-N-Downers is the latest release by the duo. It may be their most ambitious album to date. They are a two-person band with a simple sound, but here their travel in a number of stylistic directions. While at heart, they produce music grounded in Americana, now their is a little Latin influences here and some bluegrass there. The music also has some edge to it in places. “Shallow Graves” has a title that is self-explanatory, while “Fireflies” has a serious message hidden amid the sounds of a gentle ballad. 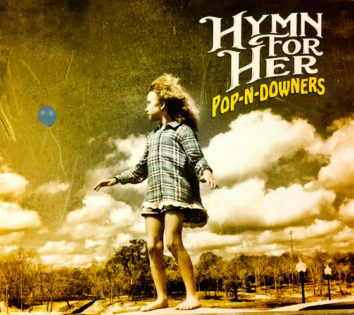 Hymn For Her and their Airstream Trailer have a place in American music. They produce American music at its most elemental. Coming to a venue near you! Jorge Santana has had a late life musical rejuvenation lately. First came the re-issue of his early 1970’s albums with his band Malo, who combined hard rock elements with Latin rhythms. Now comes the reissue of his two late 1970’s solo albums under the title Love The Way: The Complete ’70s Recordings. His 1978 self-titled release with the hit single “Love The Way,” was a commercial success. Former Malo alum Richard Bean was along for the ride as a co-writer and lead vocalist. It may not have been as heavy and hard rocking as the Malo albums but it was a smooth combination of American and Latin pop, with guitar licks curtesy of Jorge. The basic foundation is rock and roll but the production enabled it to fit in with the east coast disco scene. The second release, 1979’s It’s All About Love, was produced by Allen Toussaint and the music shows his presence. It is more eclectic in nature and is grounded in the fusion of Latin funk and New Orleans jazz. Whether jams, acoustic, or tight structures; it is a potpourri of Delta rhythms. Love The Way: The ’70s Solo Recordings resurrects the music of an artist who was able to fuse various musical styles and elements in unique ways. 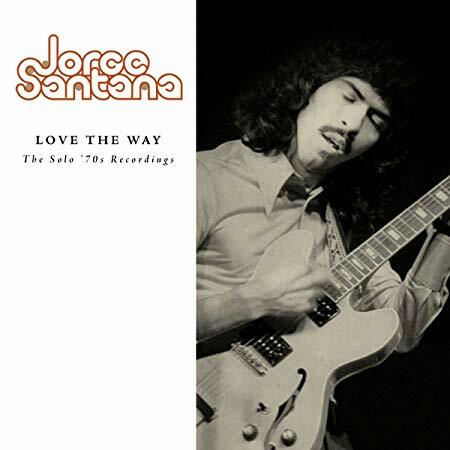 While Jorge Santana’s forays may not have changed the course of American music, it did provide two interesting interludes.